How Far is SJ Green Paradise? When you own a house, you are making a wise decision, you are making a sound investment too. 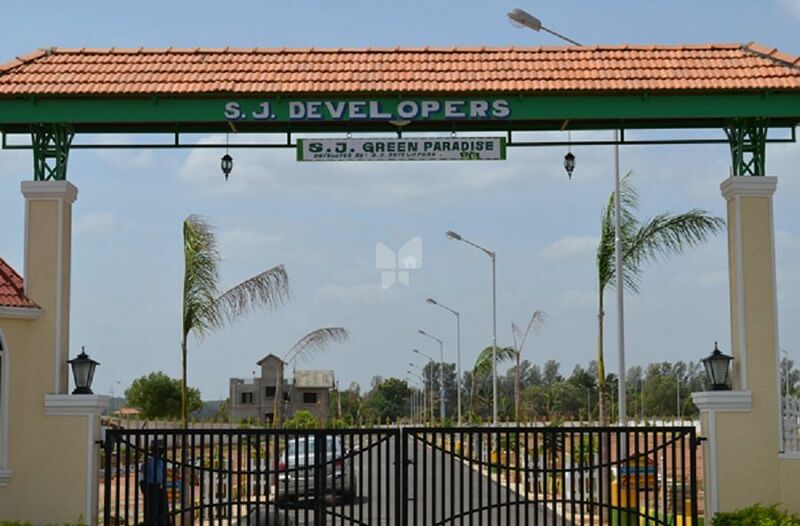 We spare no efforts in ensuring you an ideal layout surrounded by luscious greenery and located just 25 kms from M.G. Road and 19 kms from new International Airport, Devanahalli. The natural surroundings around SJ GREEN PARADISE leave you calm and cool, the amenities we offer will make you feel privileged. For instance the club house where you unwind after a tiring day at work, swimming pool, where you can drown your tensions, tennis court, landscaped garden and round the clock security to mention a few. So go ahead and choose your site and watch it take shape in a neighborhood is clean, green and rejuvenating. Concrete block walls & party RCC framed Structure. RCC Flat / Sloping roof. Premium quality ceramic tiles of size 16" X 16" for general areas and of size 12" X 12" for toilets. Premium quality glazed ceramic tiles upto 7'0" height in toilets and upto 2'0" above counter in kitchen. Front and Pooja doors of teak wood frame with molded shutters, remaining are molded doors. Powder coated aluminum glazed windows. Hindustan or equivalent sanitary ware and jaguar or equivalent C.P.fitting. Washable distemper for internal walls and snowcem paint for external walls. Anchor or equivalent electric wiring, Italia or equivalent modular switches, Telephone & TV points in living and all bed rooms.